 The Hubert Tuor Excellence Award for a Master of Science is the result of collaboration between the Faculty of Science of the University of Geneva and the Fondation Hubert Tuor. The Fondation Hubert Tuor exemplifies a new philanthropic trend, with a form of support in which philanthropy becomes renewable and aims to create an awareness of these concepts in the future generation of leaders. The award, which is fully in line with the Foundation’s philosophy of “Today for a Vision of Tomorrow,” has the aim of rewarding the best reflection on a single theme: how to return tomorrow what we receive today. The award is open to all winners of the merit scholarship programme for Masters of Science, on the proposal of the Faculty of Science. The participants will each present a proposal in a completely free form (written, audio-visual, sound or other presentation), in which they will outline a project or an idea on how they think they will be able to return in the future what they receive today and thus participate in a renewable act of Philanthropy within or on behalf of the Fondation Hubert Tuor. The Hubert Tuor Excellence Award for a Master of Science represents an amount of CHF 20,000 to 25,000 (which is equivalent to the amount of the merit scholarship plus CHF 5,000).